Karen Lanning is a scientist, a thinker, a lover of art and nature. She has a BS in Physics from Stephen F. Austin State University, Nacogdoches, TX and a MBA from the University of Houston. She has worked as a geophysicist in the natural gas biz for thirty-five years, seeing the peaks and valleys of the volatile petroleum industry, while mapping the peaks and valleys beneath the surface. Currently, she’s a consulting geophysicist and science fiction writer, and seeking representation for FLOW, an eco-thriller. You should follow her on Twitter. Energy is defined as: power derived from the utilization of physical or chemical resources, especially to provide light and heat or to work machines. Fossil fuels are organic sources which Mother Nature has cooked and processed for us to harvest: coal, oil, or natural gas. Crops grown for fuels must have energy expended on them to plant, harvest and process into an energy source. These crops also take precious land and water from food production and potentially create instability in our food prices, due to the gyrations of the energy market. Biofuels which utilize waste turned into fuel are excellent for ‘killing two birds with one stone.’ However, negatives of these carbon-based energy sources are potential pollution from spills or waste, and air pollution of many forms from burning these carbon-based fuels. Nuclear fission is the form of this energy source in current power plants and it produces clean power. However, there are two huge caveats to this energy source: A) If an event occurs and the reaction can’t be controlled, there is a real potential for runaway reactions with catastrophic results to life. B) Massive amounts of nuclear waste are being stored at nuclear plants with no long term storage plans—this waste takes thousands of years to decay to safe levels of radiation. Nuclear fusion is in development stages. It is the way our Sun produces energy; fusing two hydrogen atoms to create a helium atom and in so doing, releasing an enormous amount of power. 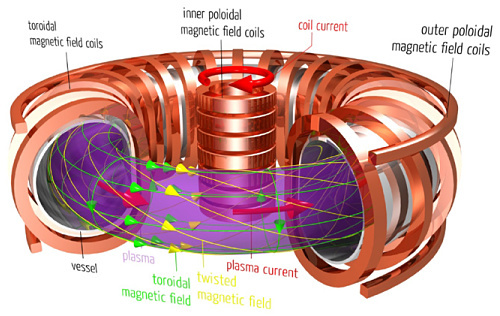 The technological issue to nuclear fusion as an energy source has been the challenge of creating pressures and temperatures within a ‘container’ that can maintain an environment for fusion to occur. The positive of this difficulty is that there aren’t issues of run-away reactions, because the reaction will die unless all systems are functioning. Only minor radioactive waste occurs from fusion and the time of decay to safe levels is fifty years. There are multiple countries and companies racing to achieve this goal. Fusion will be a Prometheus moment for humankind—solving our pollution issues with plenty of energy for our future needs. 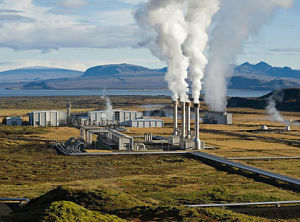 This is a great energy source, is clean and sustainable, but as a major energy source, tends to be limited to areas near tectonic plate boundaries, where the geothermal gradient is most divergent. However, there are smaller scale uses for geothermal heating/cooling for buildings. Also a great energy source that is non-polluting, but is again limited to areas of major rivers. There are issues of fish migration and altering of drainage that affect the environment. Wave and tidal power are just in the initial stages of research at this point, but would be localized sources. Sustainable sources of small magnitudes of energy, but not continuous. 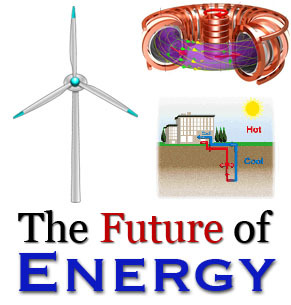 In my opinion, I see these lesser magnitude energy sources ideally matched to smaller needs; i.e., designed into houses, buildings, vehicles, versus large wind or solar farms. The wind and solar farms impose themselves into the landscape and environment for a minimal capture for large needs, so not optimal use of land. Wind turbines can augment main power sources, but are intermittent and can be an environmental issue. 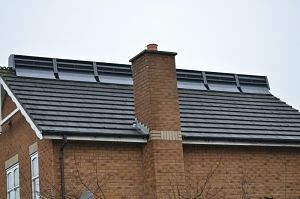 A different, smaller scale design is the perfect match for a building, in the form of turbines within the ridge of roofs. Solar power is a wonderful small magnitude energy source, but not available 24 hours. The next generation will be incorporated into windows and exterior building materials. For these intermittent low magnitude energy sources, battery back-ups systems are a must for truly getting off a power grid. For our large energy needs we must develop nuclear fusion or some source that has similar attributes. We must wean ourselves away from burning carbon as a power source. Every aspect of our lives must be analyzed for maximum capture of sustainable energy, coupled with efficient use of those varied sources. In addition, renewable sources would allow power availability during outages of a regional power grid. Upgrade our power grid for maximum efficiency. Possibly utilizing underground routing to circumvent inadvertent damage to power lines. 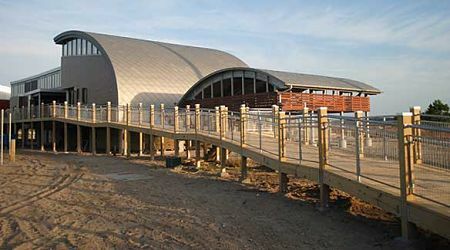 Recently, we visited a remarkable place: the Brock Environmental Center in Virginia Beach, VA—a totally sustainable building. According to their website, the Brock Center exists in concert with its natural surroundings, with minimal impact on the land, air, and waterways. It has a net zero impact on the environment and is a model for green building techniques, energy efficiency, water use, beauty, and inspiration. Can we imagine a future world with brilliant blue skies, clean water, independent and sustainable buildings, vehicles running on solar power and heavy energy needs powered by clean nuclear fusion with no overhead wires? Humans now have the power of the ancient gods—the ability to create or destroy our world. We have to visualize a balance between humans and the natural world—then demand it. Thank you for this post and to Dan for this excellent series. One thing I always wonder about is the energy expended in the manufacturing and distribution of things like windmills, turbines, solar panels, electric cars, etc. Do those things, over the course of their usage “save” more fossil fuel energy than was expended in their manufacture and distribution? When I have looked into this in the past, I find conflicting conclusions online. Do you have any thoughts? Sarah, I haven’t seen a breakdown of energy expended in production of things such as wind turbines, but that would be an interesting study to see the net energy result. I also worry about what happens to the huge solar fields or wind turbines at the end of their life or if the company goes bankrupt? All of that is another reason that pairing smaller magnitude energy sources, wind and solar, with smaller energy needs makes more sense to me. On items such as electric vehicles; transportation will be needed regardless and the beauty of electric vehicles is that once the charging infrastructure is established, the type of energy source for the electricity doesn’t matter–it could be sourced from natural gas, nuclear fusion, or perhaps solar power collected on the vehicle itself. I haven’t heard of any other exotic power sources, but once we are permanently in space, I wouldn’t doubt other sources might be available. Perhaps harnessing solar winds?